Are You Intentionally Spending Time With Family – or Just Marking Time? You’ve probably noticed that the concept of ” spending time with family ” has changed pretty drastically in the last few decades. The digital age has introduced new ideas about what it means to spend together as a family. Today, movies and TV have replaced listening to music together (for most families). Games are usually played on a console or a phone; and talking can simply mean a text message. And as our attention spans have waned due to our digital conditioning, so has the actual amount of time we spend together versus alone or with others. One study found that American families only spend an average of 37 minutes of quality time together on weekdays. That’s hardly enough time for a sit-down meal (which is a rarity), much less anything else. You’ve heard the saying, “Time flies when you’re having fun”. So perhaps we’re spending more time together than we’re reporting . But when we stop to think about it; how often are we really intentional about the time we invest in our families – and HOW that time is spent? ——–>Don’t forget to sign up for the FREE Printable Family Journal at the end of this post! 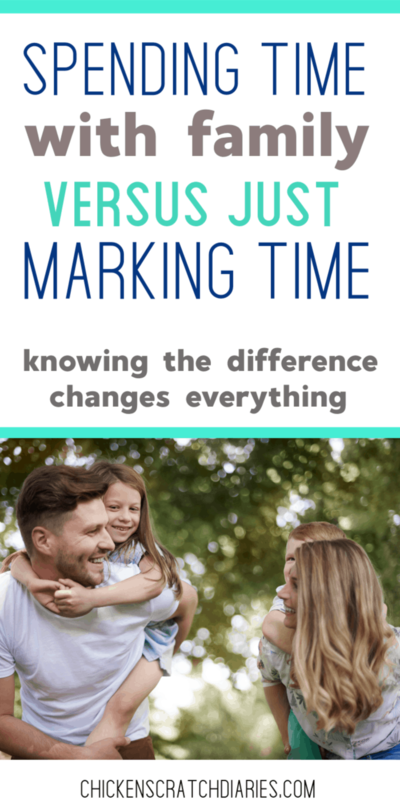 Spending Time With Family- or Just Marking Time? The good news is, if we are honest about our current habits we can become more intentional in changing them to create the family life we really desire. We can see our families thrive instead of struggle; make connections instead of growing apart. We can do so much more than just mark time on the continuum of life! Our family dynamics can change completely with just a few purposeful actions that show our kids and spouses what they really mean to us. 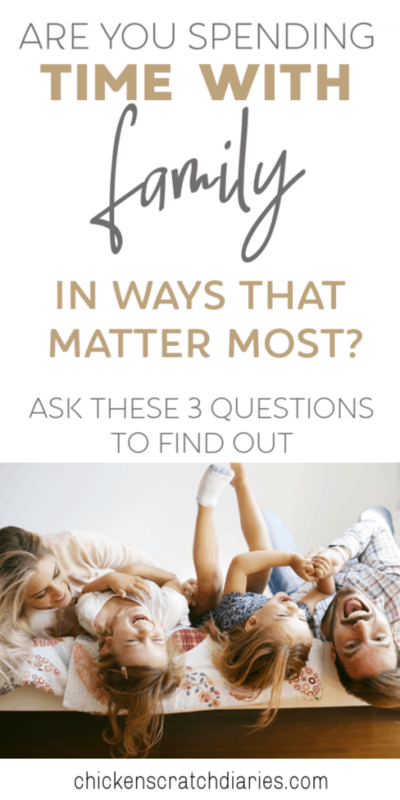 Here are 3 valuable questions you can ask yourself to evaluate the quantity AND quality of family time in your home. #1. What are their preferences? Do you know each of your children’s favorite foods, favorite colors? What are the names of their friends at school? What are their favorite subjects to study and what are they learning about right now? What about your spouse, do you know their preferences by heart? Often, our families are telling us these things on a daily basis, but we’re too caught up in multi-tasking to really take note of their answers. We’re answering emails, responding to a text or frantically trying to catch up on housework. A good example I’ve noticed of this is when I pick my kids up from school, I’m often in a rush to get to the next pickup location, the next appointment, the next errand. But my kids NEED to tell me about their day in full detail. This is their way of debriefing. My two middle children NEED to go over every item in their backpack right then and really can’t be persuaded otherwise! If we look at it from their perspective, they’ve been waiting all day to share with us. Our schedules, digital distractions and mental to-do’s are not even on their radar. So I am slowly learning that it’s best to give them my time first. Put down the phone, stop rushing around. Unload those backpacks right then and there in the minivan and put everything on hold so we can reconnect in that moment. Maybe your family’s debriefing process looks different or happens at a much later time in the day. Whenever it is and whatever it looks like, it’s important. By learning what our loved ones love, hate and experience in the day-to-day, we’re showing that they’re more important to us than our outside agendas – and we’ll always take time for them. #2. Do they come to you first? Younger kids may not have a choice in this (ha), but especially with older kids who have friends or other adults they look up to, you should pay attention to who they’re confiding in. Having friends and other respected adults in our kids’ lives isn’t the problem – and it can be a huge blessing, in fact. But most of us hope that our kids will come to us first with the big questions of life. We hope to have the chance to mold their values and belief system and influence their decisions. So, parents, are they coming to you? Are they asking you questions about life and death, faith, morality? If you’re not hearing these questions, they’re going to someone else – or somewhere else (hey, Google). The good news? Research has consistently shown that even into the teenage years, parents are the single biggest influence on our children. Sure, our kids may not always act according to this influence, but they will admit they thought about what their parents would approve of -nor not – before making big decisions. For better or worse, we are shaping their idea of what is right and wrong and so much more. So start those hard conversations. Be the source of wisdom and information that only a loving parent who knows their child’s heart can communicate properly to. Let them know you’re the open door and be willing to listen. For my kids, bedtime seems to be a time of introspection and lots of questions. Spending time to not only answer their questions but to expand on them and be proactive in teaching values and important truths is something I think we should do every day as parents. #3. How do they describe you? I found that I often use the excuse of having work to do when my kids are trying to connect with me. Whether it’s housework or work-work that pays the bills, it can be too easy to unbalance the time-scale and spend it on the tasks with more tangible results. But friends, hitting the pause button on the tasks of life to connect with the people in our lives is so much more important. We know this, but the habit of busy-ness can be hard to break, for many of us. God created us for relationships- first with Him, then with others. Loving our families well can give them a clearer understanding of the love God has for us (except on an infinite scale!). We simply can’t show our families we love them if we’re not setting aside time that’s just for them. If we aren’t sure how they feel – just ask your kids how they would describe you and how you spend your time. Kids are brutally honest! 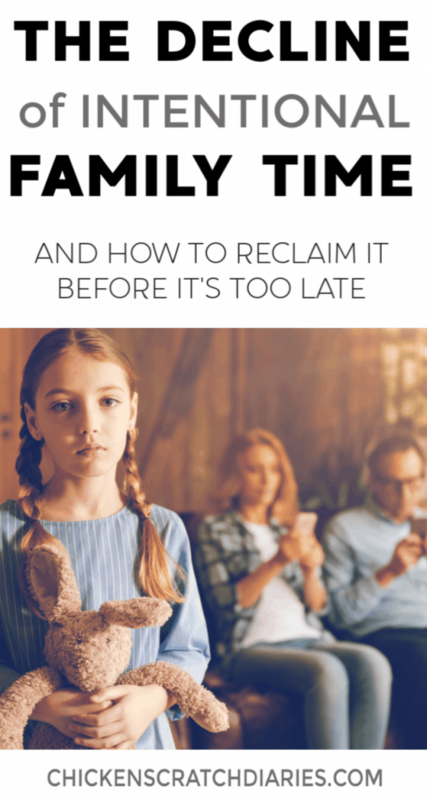 So whether it’s work, our smart phone addiction or any number of other distractions at home, we have to be willing to be honest about how much time we really have in a day- and how it may need to be rearranged for the benefit of our family. Lastly, don’t forget to do this very important thing: look your kids in the eyes. Look your spouse in the eyes. As often as you can, think of ways you can spend time together that involves face-to-face interaction. Kids are losing the ability to appropriately express their feelings in part because even when we ARE together, we’re often in front of a screen. When we don’t spend enough time talking together, laughing together and even crying together, we are missing out on those moments that really define the family experience. We’re making a lasting impression, intentionally or not, by the way we allocate our time. That pie can only be sliced so many ways. What will your family’s memories be made of today? Want help preserving those memories? 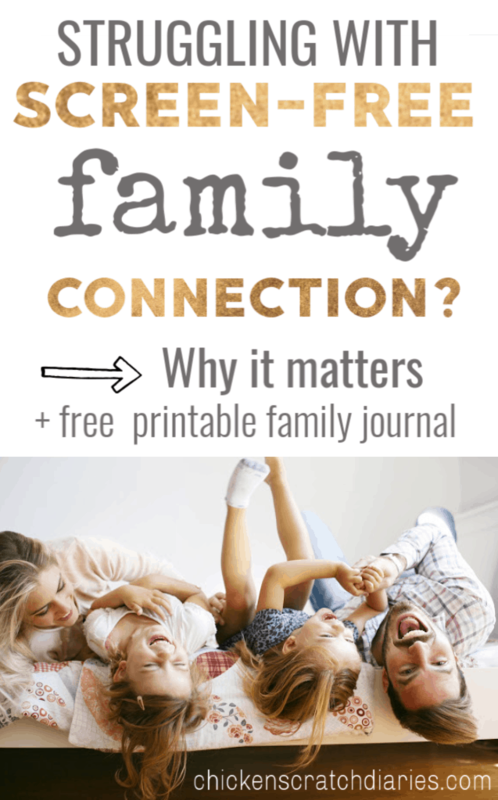 Subscribe below and download your FREE 14-Page Printable Family Journal. With the Family Journal, you can print the pages as you need them, as many pages as you want, and then arrange them into a binder at the end of the year. Pages are included for everything from random family memories to special events and holidays and more. An Instruction and Idea sheet is included for compiling your journal. You will not only enjoy looking back on the time you spent together, you’ll be encouraged to think of even more memories to add to your journal. I know this is something our family will have a blast creating and re-reading each year. I often think about what I want my kids to remember about me when they’re grown. Maybe these pages will be a small prompt to make those memories today – before it’s too late. In the end, our time spent with those we love is the only time that’s never wasted. Excellent post Brandi. How we spend time is one of the most important things. And in today’s world, family dinner is almost non-existent. Thankfully, I realized this a long time ago. In fact, our family eats dinner together at least 4 times a week and we turn off all electronics at 8pm each night to hang out, play games or just be together. Thanks for sharing. Keep the great words coming. Hi Alicia! I love the 8:00 rule on the electronics! It’s a struggle for every family, but good boundaries are so important. Thanks for sharing your insight!